During periods of grid interruption or failure, the ability to provide a source of backup power is a valuable asset, and those who recognize this are finding that solar power offers a solution. Ready-made solar power generators are available, but are expensive and few understand how to design their own system. Different people have differing needs, whether preparing for the short-term emergency or a long-term disaster. Additionally, individual systems must be customized to ensure maximum efficiency and reliability. Next Level Prepping Volume 1: Solar Power was written as a comprehensive and accurate source of information making it possible for the average Joe to plan, design, and construct an individualized system based on his needs and budget. 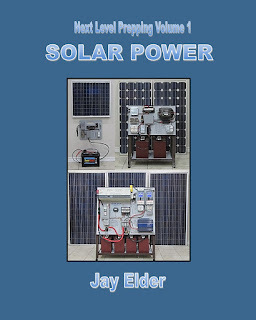 It was specifically written for those with no understanding or prior experience with solar energy. Elder conveys technical concepts in an easily understandable way for those preparing for unexpected emergencies. The systems range from small portable systems to those suitable for off-grid retreat cabins or trailers. To achieve this, principles and rules are outlined which address every detail of system design from the solar panels to the battery bank as well as each wire, fuse, and component. 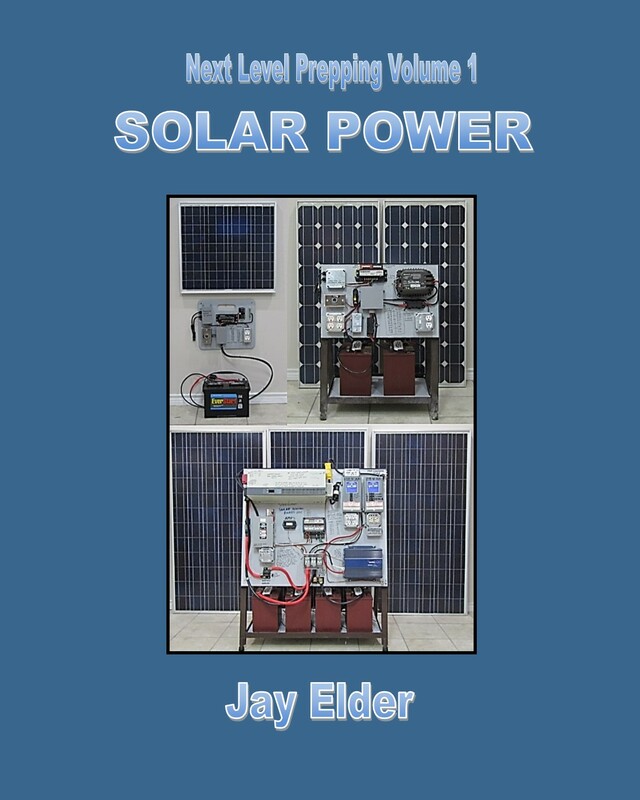 This is a must have resource for every prepper looking to add renewable power to their preps, regardless of the level of their preparedness from simple lighting and cell phone charging to pumping water and refrigeration.